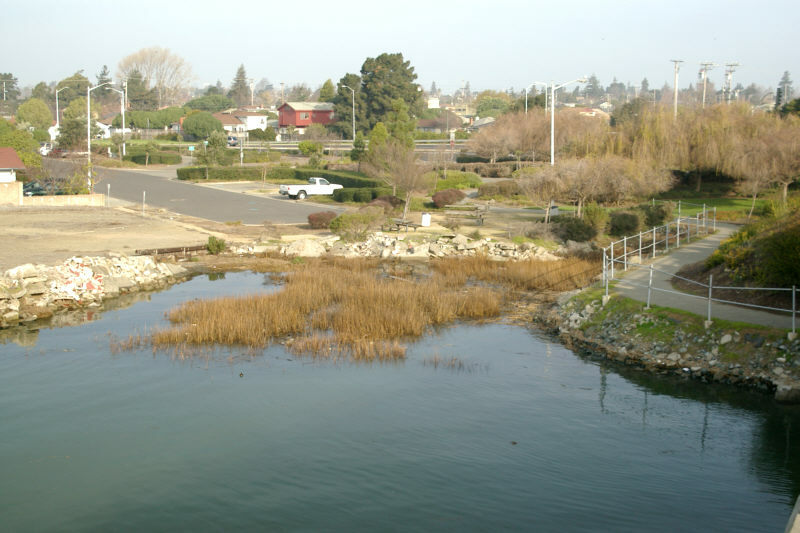 Photo: Towata Park as seen from the Bay Farm Island Bridge. Eastern Mojave Vegetation Towata Park as seen from the Bay Farm Island Bridge. Photograph taken January 18, 2004. There is a small inlet in this park, shown here at high tide, that has potential to be a small marsh. Otis Drive: at Towata Park.